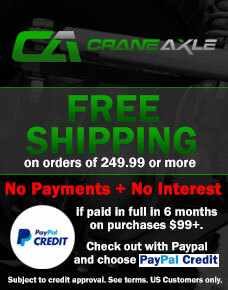 Crane Axle now offers 35 and 40 spline Dana 60 drive flange kits. As always made in the U.S.A.
Crane offers the drive puck in 35 or 40 spline applications. The drive pucks are built from 8620 chromoly steel then heat treated. The caps are machined from 6061 aluminum then anodized black with the Crane logo engraved.